All the biographical on this page can be freely duplicated elsewhere provided you don’t alter the text (aside from mixing and matching paragraphs, if that suits your needs). Lucy A. Snyder is the five-time Bram Stoker Award-winning author of over 100 published short stories. Her most recent books are the collection Garden of Eldritch Delights and the forthcoming novel The Girl With the Star-Stained Soul. She also wrote the novels Spellbent, Shotgun Sorceress, and Switchblade Goddess, the nonfiction book Shooting Yourself in the Head for Fun and Profit: A Writer’s Survival Guide, and the collections While the Black Stars Burn, Soft Apocalypses, Orchid Carousals, Sparks and Shadows, Chimeric Machines, and Installing Linux on a Dead Badger. Her writing has been translated into French, Russian, Italian, Spanish, Czech, and Japanese editions and has appeared in publications such as Asimov’s Science Fiction, Apex Magazine, Nightmare Magazine, Pseudopod, Strange Horizons, and Best Horror of the Year. She lives in Columbus, Ohio and is faculty in Seton Hill University’s MFA program in Writing Popular Fiction. You can learn more about her at www.lucysnyder.com and you can follow her on Twitter at @LucyASnyder. Lucy was born in South Carolina but grew up in Texas. She currently lives in Ohio with her husband and occasional co-author Gary A. Braunbeck. If genres were wall-building nations, Lucy’s stories would be forging passports, jumping fences, swimming rivers and dodging bullets. You can learn more at www.lucysnyder.com. Lucy has a BS in biology from Angelo State, an MA in journalism from Indiana University (Bloomington), and an MFA in creative writing from Goddard College. She is also a graduate of the 1995 Clarion Science Fiction & Fantasy Writers’ Workshop. 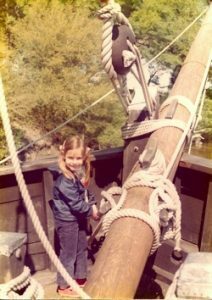 She has worked as a mainframe operator, science writer, biology tutor, researcher, software reviewer, radio news editor, nature center attendant, and bassoon instructor. My parents dutifully tried to interest me in stereotypically girly things like dolls and clothes, but it didn’t really work. Tea sets became bunkers for toy soldiers defending the realm against marauding Raggedy Annes. Hairbrushes were more likely to be used as pretend pistols and daggers than to be put to their intended use. 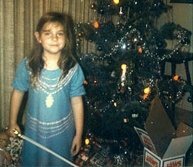 I liked Barbies, but only because I could take the tall plastic boots off the dolls, put them on my fingers, and imagine that my hand was a giant stompy multilegged monster (my toy soldiers led a hard existence). I grew up in a house full of books. My parents read to me every night when I was little — mostly fairy tales and children’s fantasy like the Oz books and Alice in Wonderland — and taught me to treat books as something special. This more than anything inspired me to become a writer. My mother loved literature and the arts; my father, a physician by profession, is an accomplished amateur painter and photographer. My mother’s first husband, John Grindley, wrote A Season on the Coast, which was published by The Dial Press in 1969. I’ve never met John, and didn’t correspond with him until I was in my 30s, but I knew about him pretty early on. Because he had written a novel and then gone gallivanting away to places like Guatemala and Saudi Arabia, he was a shadowy figure of cool in my young mind. 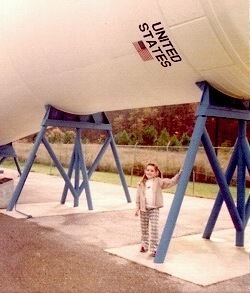 A huge influence was the United States Space & Rocket Center at the Redstone Arsenal in Huntsville, Alabama, where my father’s aunt and mother lived. Whenever we went to visit, they’d take me to the museum, and the notion of space travel caught my fancy and kept it. Once I was old enough to read anything of substance, I grabbed pretty much anything with a space ship or a fantastic creature on the cover that appeared on the school library’s shelves.